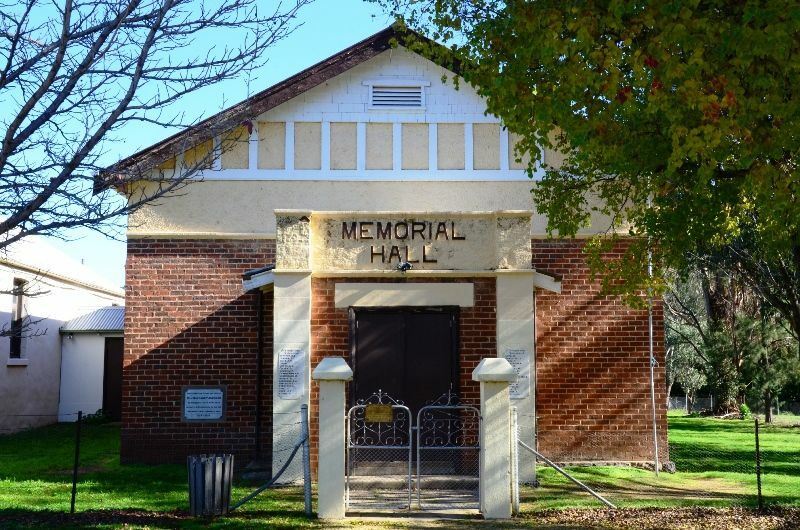 The hall was erected to commemorate those who served in World War One. 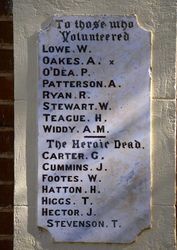 Two marble tablets on either side of the entrance door list those from the district who served. The Soldiers Memorial Hall was erected beside the old old stone hall of earlier days (originally a mechanics institute) which became an annexe and supper room. 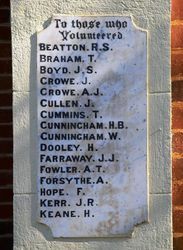 The foundation stone for the hall was laid on ANZAC Day 1928 by Mrs Margaret Johnson. The hall cost £1745 and was officially opened by Major Reid, MC, MLA on October 17th 1928. 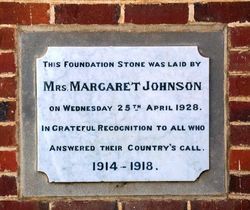 This foundation stone was laid by Mrs. Margaret Johnson on Wednesday 25th April 1928. In grateful recognition to all who answered their country`s call.